Universal Pictures announces the release of Halloween on Blu-Ray and digital. Check out the official info and box art below. Universal City, California, November 20, 2018 – The infamous killer Michael Myers strikes again in Halloween, arriving on Digital and via the digital movie app MOVIES ANYWHERE on December 28, 2018, as well as on 4K Ultra HD, Blu-rayTM, DVD and On Demand on January 15, 2019. Hailed by critics as “a near perfect blend of craft, character growth and nostalgia” (Perri Nemiroff, Collider), Halloween takes place four decades after Laurie Strode (Jamie Lee Curtis, Halloween Franchise, “Scream Queens”) narrowly escaped the masked Michael Myers’ brutal killing spree. 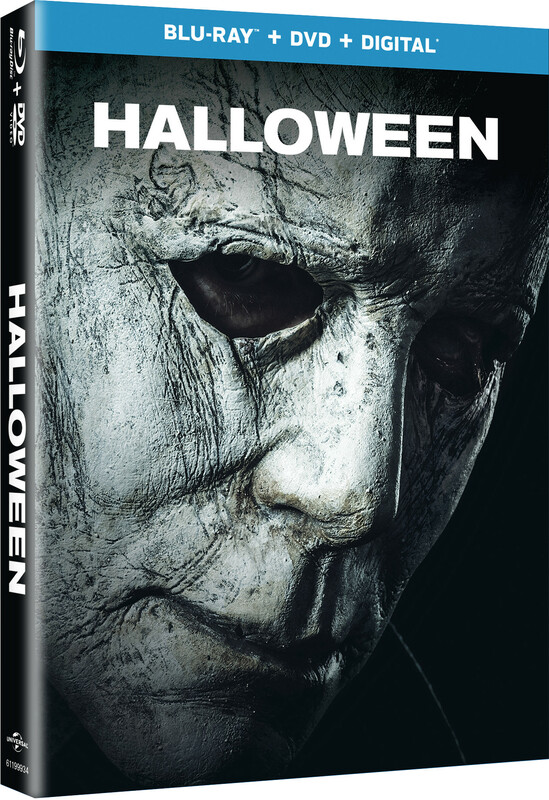 Packed with bonus features including chilling deleted and extended scenes as well as special featurettes showing behind-the-scenes looks at creating the film, Halloween delivers spine-chilling, hair-raising intensity and thrills to both new and repeat viewers.